The roof and siding has a significant impact on your home’s curb appeal, which means you need them both to look presentable. Unfortunately, certain roofing problems can ruin that look and make even the rest of the home look bad. Signature Exteriors lists some of the most common (and unsightly) roofing problems and what causes them. Shingles and siding panels, especially horizontal vinyl siding, look great when neatly arranged in rows, but there are times when you may find a few shingles out of place. This type of issue is usually caused by strong winds blowing the shingles, but it can also be a result of the shingles or panels not being properly installed in the first place. If you see black streaks on the surface of your roof or siding, you are likely dealing with two problems. First, dark-colored mold or rust has formed on the surface. Second, your roof or siding isn’t shedding of water as fast as it should. You can call experts like us to figure out which factor caused this type of problem so the right action has to be taken. Blisters are a result of moisture getting underneath the surface of either component, causing pockets of water or air in the long run. This type of problem usually appears on shingles or any other painted material. Blistered shingles must be replaced, while painted material will need a fresh layer of paint to restore them back to their original look. Sagging roofs and drooping panels are not only ugly, but also very unsafe. Sagging happens when the underlying structure is already compromised, usually due to heavy impact or moisture damage. You need to call your trusted roofing or vinyl siding contractor ASAP if you see this type of issue. Don’t let these unsightly problems ruin your home’s curb appeal. 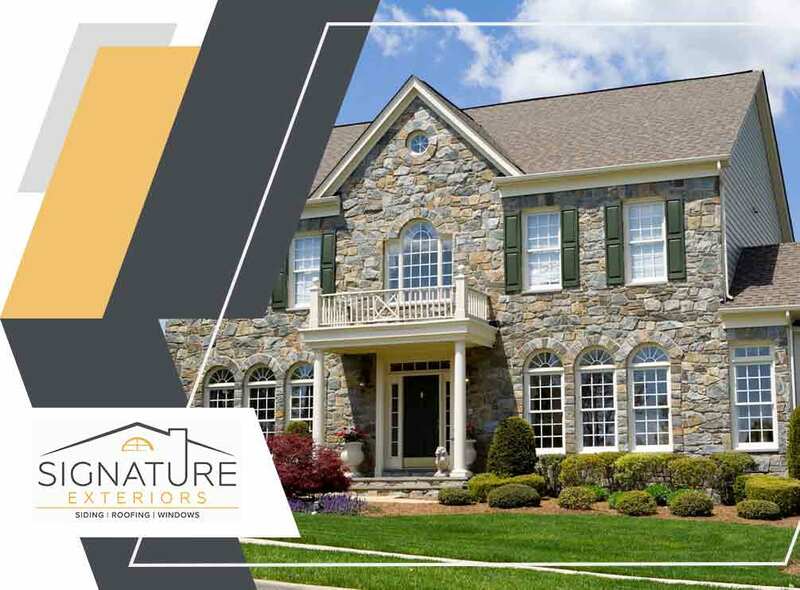 Signature Exteriors is the leading roofing company in CT. You can call us at (866) 244-8029 or fill out this contact form to request an estimate.